Moving on from yesterday and the whole weekend. I picked a ton of strawberries from the garden. 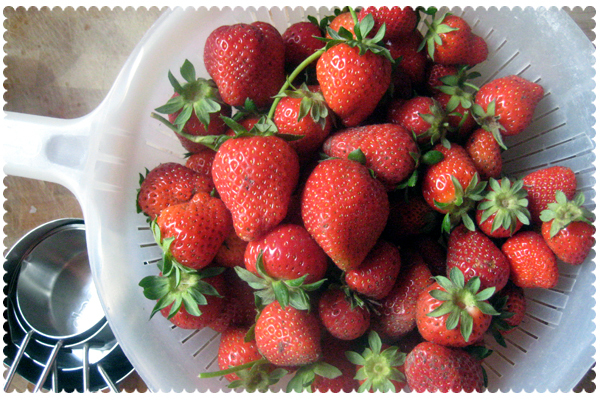 So, what do you do with a big bowl of freshly picked strawberries? Aside from eating a bunch of them? You make a dinner that makes you think you were somewhere else - somewhere tropical. I imagine if I were on a tropical island, I would probably have my camera. 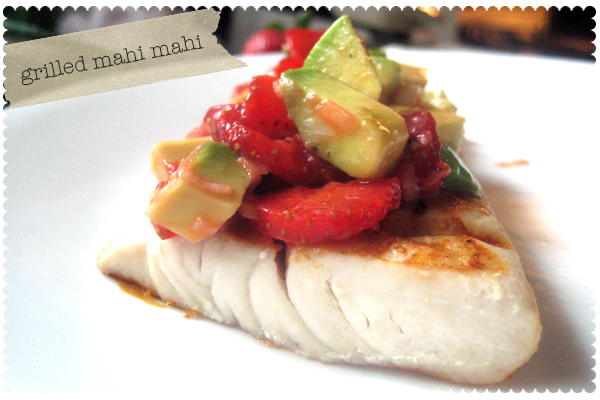 Anyway, I had a couple mahi mahi fillets in the freezer so I decided to make grilled mahi mahi with a strawberry-onion-avocado topping. 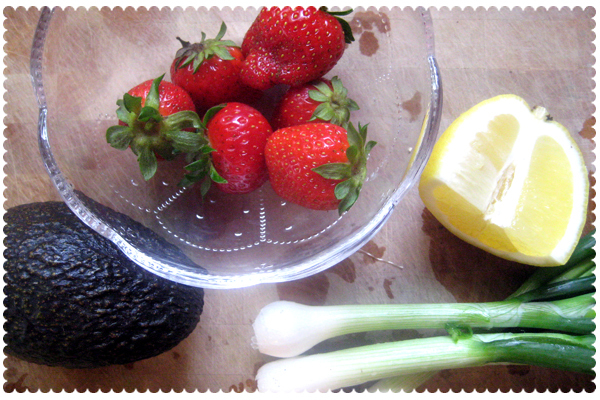 I sliced up some strawberries and onions from the garden and put it in a bowl. I added a little lemon juice and salt and pepper and then chopped up some avocado. Then I grilled the fish on the George Forman and put the strawberry mixture on top. My tropical island dinner escape with my point and shoot camera.